MY ROUTINE. MOST LOVED PRODUCTS & TIPS. When I was in school I remember doing mock interviews and after the interviewer told me my smile was contagious and to bring my smile with me everywhere I go. That phrase always stuck with me. 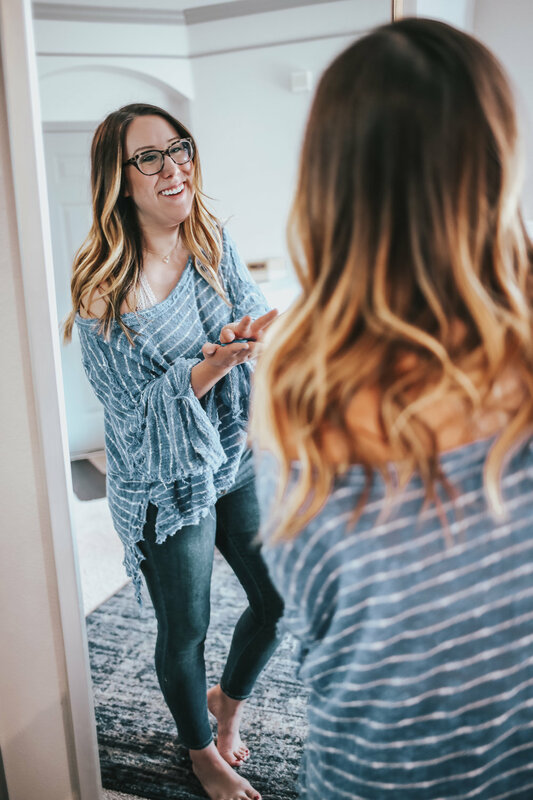 I’ve always tried my best to take care of my teeth, but between coffee in the morning (and lunch) and a big glass of Cabernet Sauvignon at dinner, my smile wasn’t the best it could be. 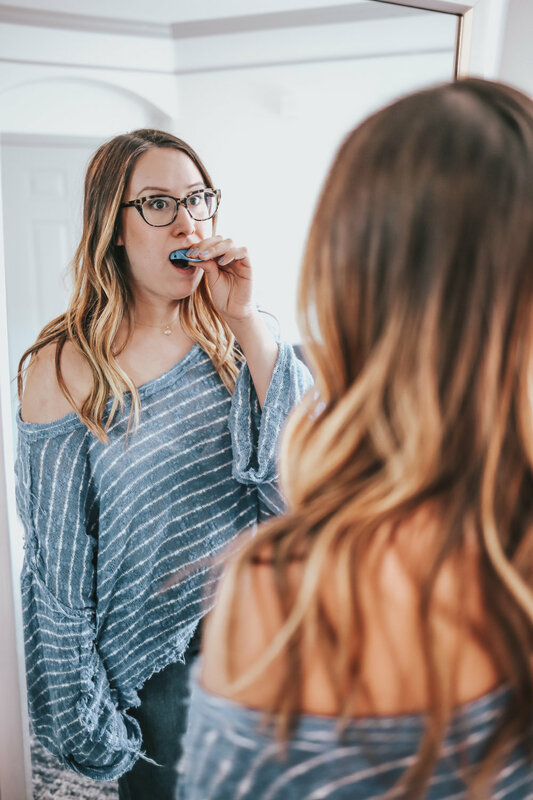 I’ve used at home teeth whiteners before, usually before an event or a date night with my man. I would throw on some whitening strips as I was getting ready and call it good, but my bright smile would only last for so long. 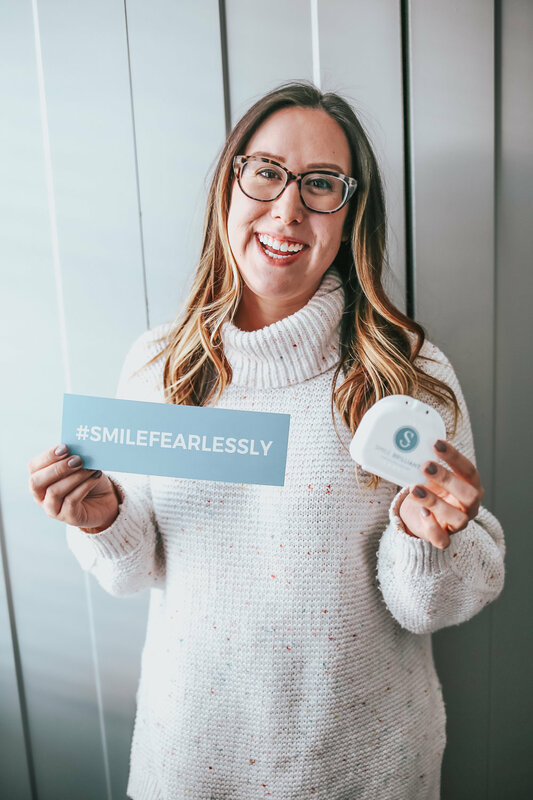 Luckily, Smile Brilliant came to the rescue and introduced me to their custom whitening trays! Everything that arrives with your smile brilliant package! 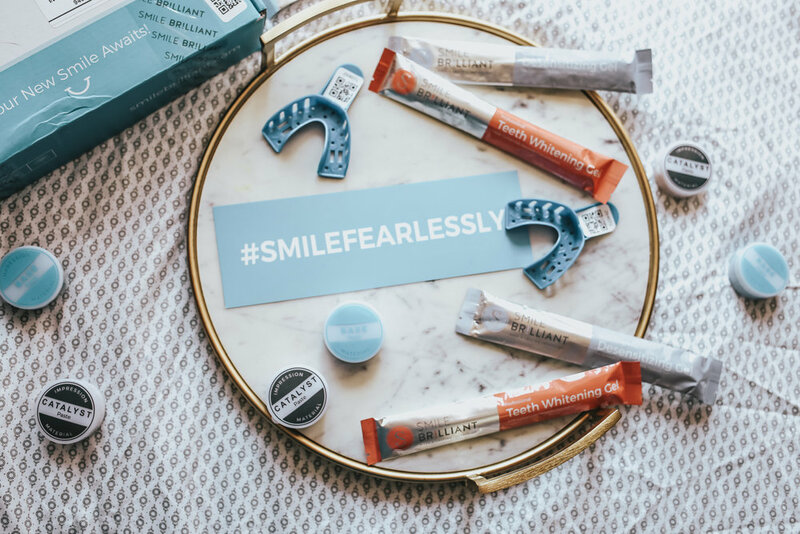 Smile Brilliant gives you everything you need to create your custom trays right at home, no visits to the dentist! First you make your impressions, the kit includes detailed instructions on how to create them. My favorite part is if you’re unsure about the impression you created, you can snap a picture and send it to them before sending in your kit. I didn’t get my impressions right the first time, but that’s ok because they send you extras just in case! step one: mix catalyst and base paste. mix the catalyst and base paste until they are solid blue. place mixed putty in tray. hold in place for 3 minutes. verify & repeat. When you are done, fill out your consent card and mail your impressions to the lab! When my trays arrived I was really impressed on how natural they felt. They fit perfectly to my teeth! When I used whitening strips in the past I always felt like I couldn’t talk to anyone, or they would slide off. With my trays I could have full conversations with people. You can even belt out the whole Taylor Swift album in the car while wearing these trays, if you were curious. To apply, all you have to do is take a Teeth Whitening Gel syringe and apply a thin steady ribbon to the front, outer surface of the trays and insert onto dry teeth. Whitening sessions can take anywhere from 45 minutes - 3 hours. I put them in whenever I had the time, but whitening before bed is best! After your whitening session, make sure to do a desensitizing gel session, even if your teeth don’t feel sensitive at the time! 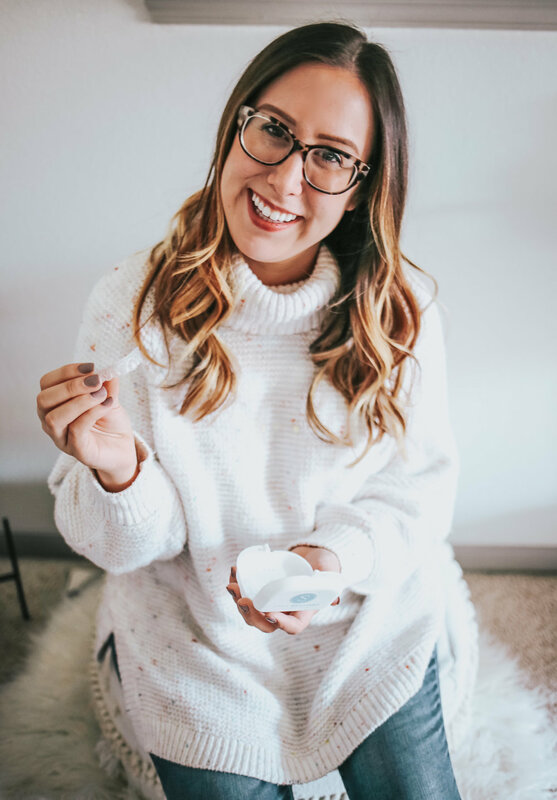 When you whiten, your teeth’s pores stay open for 24-48 hours, the gel helps close the pores to lock in the whitening session! If you experience sensitivity during whitening, which is common, whiten every other day and stick to shorter sessions. You could also do desensitizing only sessions on your off days! Let me know if you have any other questions about the process! I’m so happy with my results! Now I can confidently show off my smile. 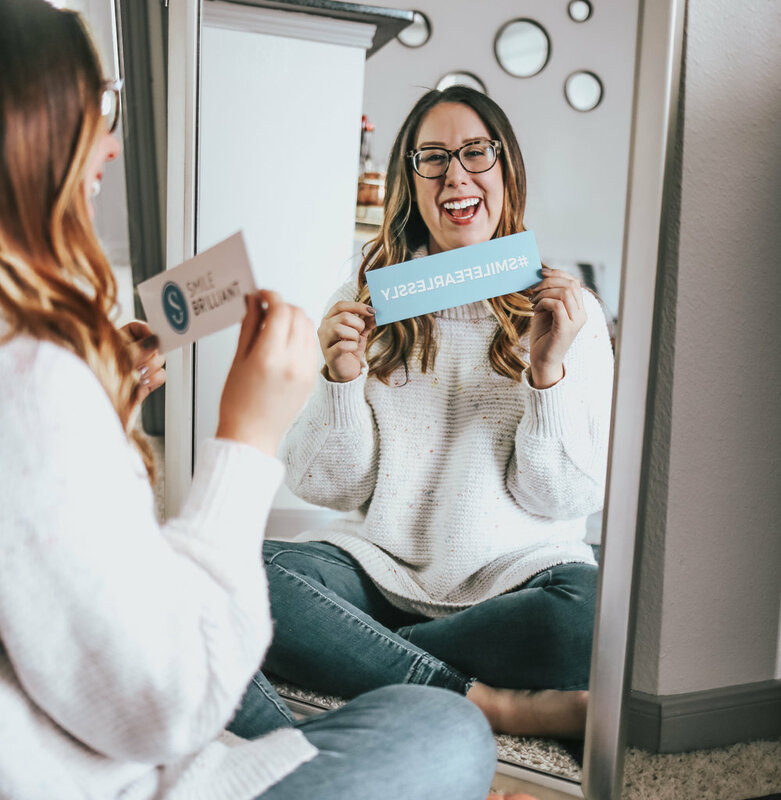 I’m excited to share that I partnered with Smile Brilliant to give one lucky winner a $149 credit to Smile Brilliant (which equals the value of a T3 Sensitive System Whitening Kit). All you have to do is click the link below and fill out some info, entering takes 30 seconds! In the mean time, use my code: molliealamode15 for 15% off all Smile Brilliant products! One thing I don’t like to share about myself is I went to Cosmetology school. Mostly because when I tell people they automatically ask if I can cut their hair. The answer is no, FYI. While in Cosmetology school, I learned how to do shellac manicures and was constantly practicing on myself and others. I have been getting my nails done consistently ever since and I went to school over five years ago people! I love testing out new perfumes...and not going to lie I have expensive taste. I love perfumes that are complex and last a long time. I have a few perfumes I use just in the fall/winter and some that rotate through the spring/summer. My favorite way to test out a new perfume is by buying a rollerball, I tend to always have one on me. If I really love a perfume, I'll take the plunge and buy a full size bottle. 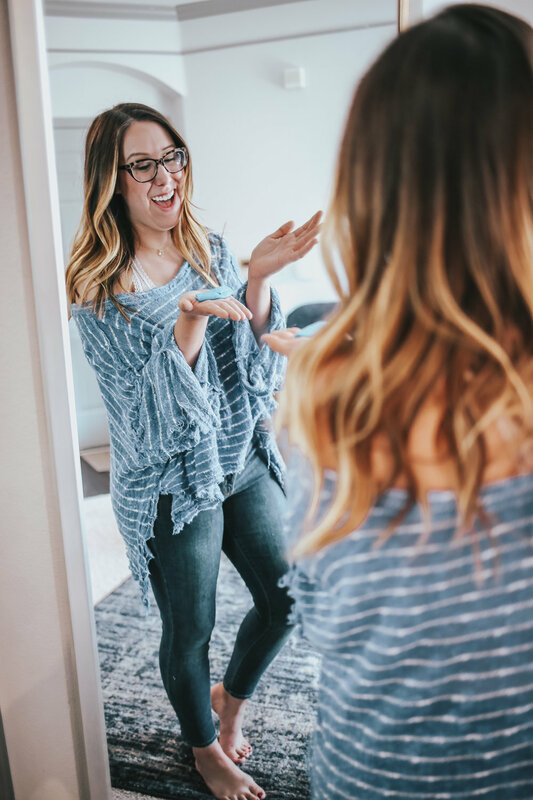 Today I'm sharing my three favorite scents for summer right now! I get compliments on my hair often. I pride myself on it, because I try my best to take care of my hair and only go to the best hair stylists in town! I've been slacking lately, in every way, and decided I needed to take my hair care level up a notch. Did you know I'm a licensed cosmetologist!? I'm sure you've heard about this new cult beauty brand called Maskcara. 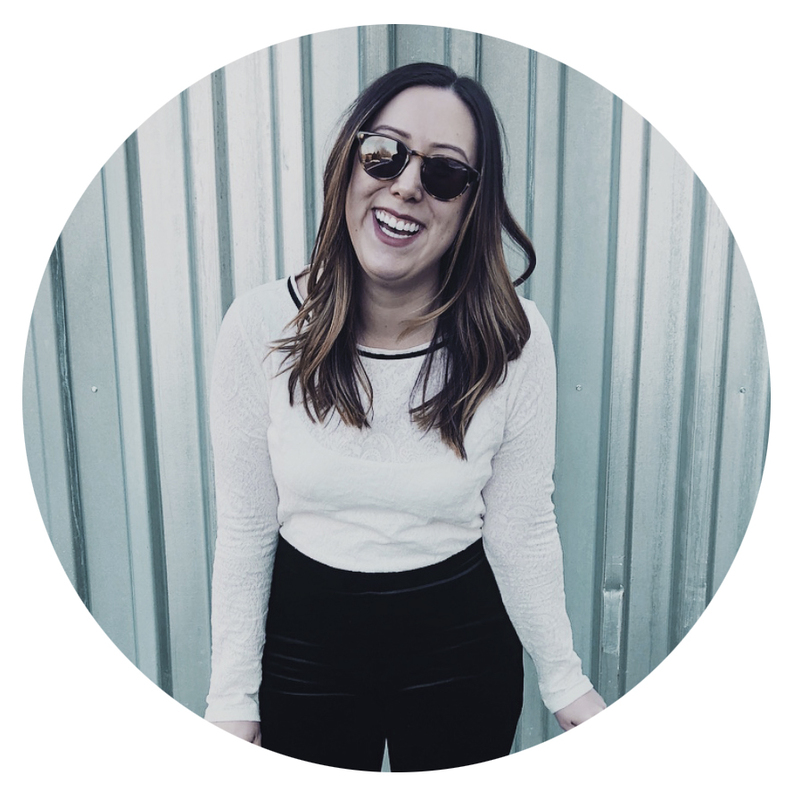 When I was approached by a Maskcara artist to test out their products, I was actually pretty excited! I've been seeing tons of before and after pictures and it seemed like this makeup made everyone glow! I've always wanted a Clarisonic cleansing brush, but never wanted the big price tag it came with. During the Sephora VIB sale last month, I purchased a gift set that included the Clarisonic Mia 1 and the cleansing gel. for $129 (normally $148). I asked if you guys wanted a review of my experience on Instagram and you guys voted YES! So I made sure to document my experience. First up- my before pictures (big old stress zits, and all).